This month’s Genre has been chosen by Audrey of 1001 Movies and Beyond and she has chosen the genre of Movie Musicals. Brief Synopsis – A popular silent film star needs to find a solution to his screen partner’s high pitched voice when the film industry decides to make the move to talking pictures. My Take on it – This is a film that I saw only once before in it entirety and that’s part of the problem. Most (if not all) movie lovers know this film by name but it’s not because they have seen it over and over, it’s because they know the films iconic title song and also have seen clips of Gene Kelly performing it. Kelly, along with co-stars Debbie Reynolds and Donald O’Connor are all superb here and they get the singing and dancing just right. O’Connor goes one step further and dances up a way while singing. The rest of the soundtrack is filled with catchy songs, but none are as iconic as the title song is and most people wouldn’t be too familiar with them. The biggest problem with this film is it’s story which is slightly weak and probably wouldn’t work as well without the musical interludes. I think most people grade this film on a sliding scale because they take into account the iconic song and scenes mentioned earlier. It just isn’t consistently great the whole way through. I know that Hollywood loves movies about Hollywood, so there’s another reason why so many people like this film. Don’t get me wrong, this is a very good movie, it’s just not great. Bottom Line – Kelly, O’Connor and Reynolds are all superb here. Great bunch of catchy songs here but the iconic title song will always outshine the rest. The story is a bit weak but still works most of the time. Film has a higher mark by many people due to one iconic scene but the rest of the story just isn’t up to par with it. Always nice to see a Hollywood film about Hollywood. Recommended! Genre Grandeur Worthy? – Iconic song, check, iconic scene that everyone loves to watch, check, story that keeps you wanting more and more…not so much. 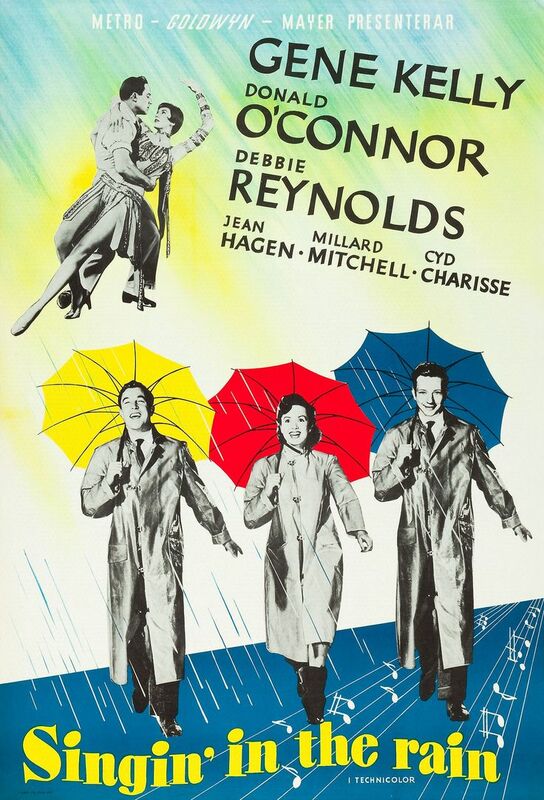 I’ve felt the same way about most of Gene Kelly’s classic musicals that I’ve seen, but this one has always stood out as probably his best, maybe because I first saw it at such an early age.